RC VI-3 - To be included in your Professional Portfolio. 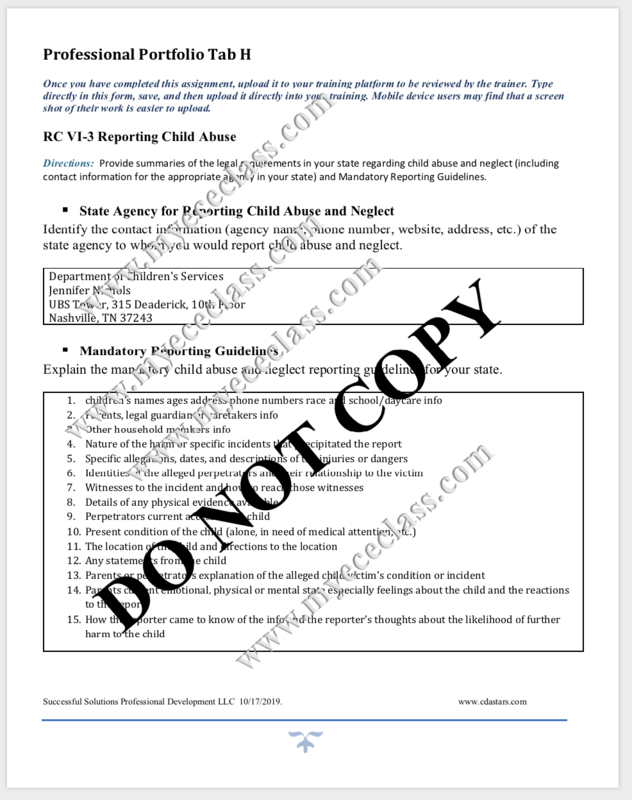 Provide summaries of the legal requirements in your state regarding child abuse and neglect (including contact information for the appropriate agency in your state) and Mandatory Reporting Guidelines. 1. Identify the contact information (agency name, phone number, website, address, etc.) of the state agency to whom you would report child abuse and neglect. 2. Explain the mandatory child abuse and neglect reporting guidelines for your state.